As an adult, worse than suffering the loss of a single tooth due to an accident of some sort, losing all your natural teeth can be heart-wrenching and devastating; it robs you of a simple joy of life which is – smiling. You are not alone, about 23 million of the geriatric world population is completely edentulous (missing all their teeth). What are millions doing to fix this issue and reclaim their smile? 90% of the above mentioned individuals have dentures. Dentures are prosthetic teeth that serve as a replacement for missing teeth. 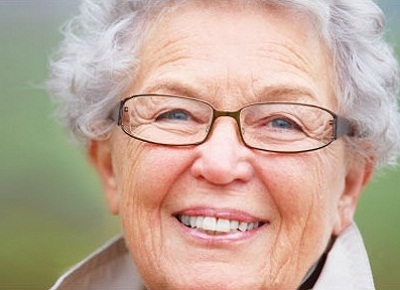 One of the most effective types is an All-on-4 implant supported denture. They provide you with the comfort and abilities of a healthy arch, strong teeth and a perfect, natural smile. 1. They allow you to chew and savor your favorite meals again. 2.You can smile all you want, confident that you won’t embarrass yourself! 3. Healthy bone levels that would otherwise recede. 4. Provide a strong foundation for a fixed prosthesis or a fixed hybrid-prosthesis. 5. They don’t click around in your mouth while chewing, laughing or speaking. 6. They don’t stick or make noises. Quite similar to a regular dental implant procedure. First, there is an implant that is surgically placed in the jaw and a screw to prepare the space for the post, or prosthesis in this case. Then the dentist attaches an extension that will be able to hold the tooth or prosthesis. Finally, the cosmetic dentist makes and attaches onto the prepared four sections (two in the front and two in the back), a prosthesis which has a size, shape, color and fit that perfectly match your personality and facial features. Along with the benefits, during the time the implants fuse with the bone (a process called “osseointegration”) there may be some swelling or tenderness for a few days after the surgery, so Dr. Rivas prescribes some pain medication to alleviate the discomfort. A diet of soft foods, cold drinks and warm soup often is also recommended during the healing process. Why don’t you have Dr. Rivas, an expert cosmetic dentist for over 30 years make you a smile you deserve? One that looks perfectly natural and is fully functional; most of all, one that won’t slip out of place when you laugh! All-on-4 is just one of many options! Contact PV Smile today to speak about the best possible solutions for your dental needs.